Target stores, Taco Bell, Jack in the Box and Speedway convenience stores will now accept Apple Pay, the mobile contactless payment system that lets customers use their smartphones to tap to pay a code reader at checkout. Apple also said Hy-Vee supermarkets in the Midwest will now accommodate customers who use Apple Pay. 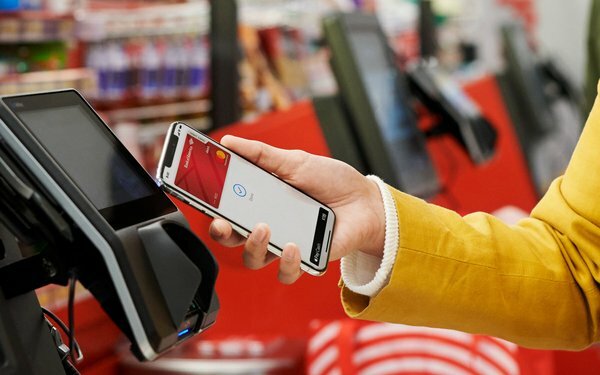 At about the same time, Mastercard also said Target has agreed to accept its contactless card, that works either as a card or through a phone app. That now adds up to 74 of the “top” 100 merchants in the U.S accepting Apple Pay and 65% of all merchants -- including such major merchants as Walgreens and fast-food restaurants (McDonald’s), says Apple. The holdouts for contactless pay services, generally. are smaller merchants. Apple said Costco rolled out Apple Pay last year, as did CVS. The company said 95% of all 7-Eleven stores now accept Apple Pay. Walmart is still a holdout on Apple Pay and other pay services. Target had planned its own contactless pay system working with Walmart and other big retailers, but that effort, called the Merchant Customer Exchange, was sold to JPMorgan Chase for that bank’s own system. Other contactless services are offered by Google, Samsung, PayPal, major credit cards and some banks and other merchants. They all work basically the same, but with a few different wrinkles. To use Apple Pay, a consumer takes a smartphone photo of his or her credit card, or enters it manually. Apple verifies the card and stores the details in a secure element within the phone. Customers create a special Device Account Number, which is what they key in when making a purchase. That way, if the phone is stolen or lost, no one else can use the credit card information. “Whether customers are buying everyday household items, groceries, snacks for a road trip or grabbing a quick meal, Apple Pay is the easiest way to pay in stores, while also being secure and faster than using a credit or debit card at the register,” says Jennifer Bailey, Apple’s vice president of Internet services. Apple says the Target rollout will happen in all 1,850 locations in the next few weeks, and at the fast food restaurants over time. The tap-to- pay service is already activated at Hy-Vee and for Speedway, for in-store purchases. However the tap to pay competition goes, one thing won’t change: Who’s getting paid. “Now that the dust is beginning to settle, it is increasingly clear that the ultimate winners are likely to be the same old credit-card companies that already dominated: Visa and Mastercard,” wrote Brian Riley, director of the credit advisory service at Mercator Advisory Group, in a blog on the company's website.